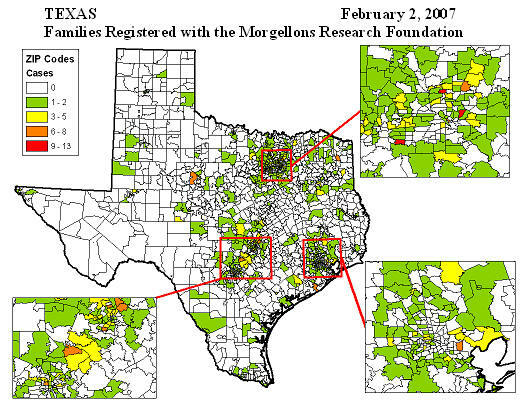 Maps of Morgellons Research Foundation Registrants in the United States Archives - Morgellons Disease ? 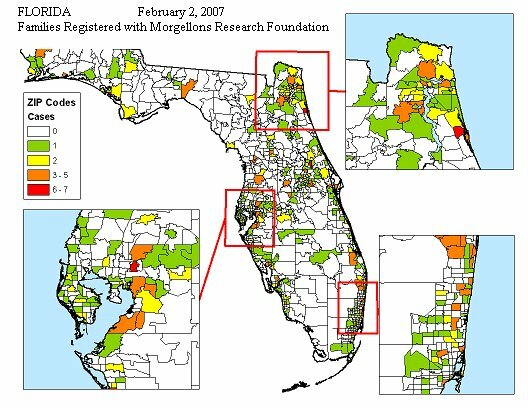 Note: The maps below are based on U.S. families who felt that they fit the criteria for Morgellons disease, and were motivated to register with the Morgellons Research Foundation. These are all self-reported cases, and likely do not represent the true number of families affected by this illness. 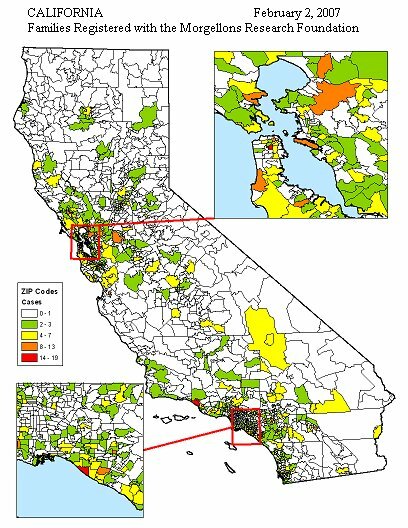 Although this is clearly not a methodical study of an officially defined disease, we feel that the numbers below justify an official, unbiased investigation of this situation. 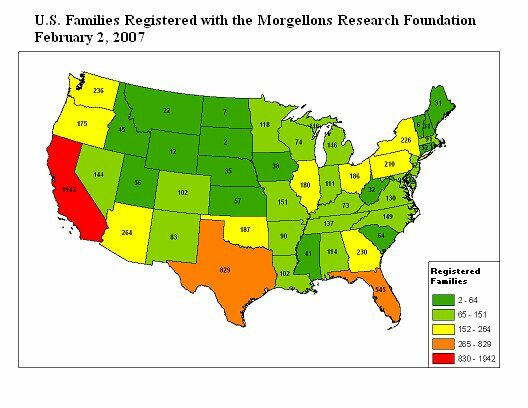 Note: Although California represents 12% of the US population, 24% of all families in the U.S. who have registered with the Morgellons Research Foundation reside in California.